Nick Kerley puts Jets ahead from the spot. 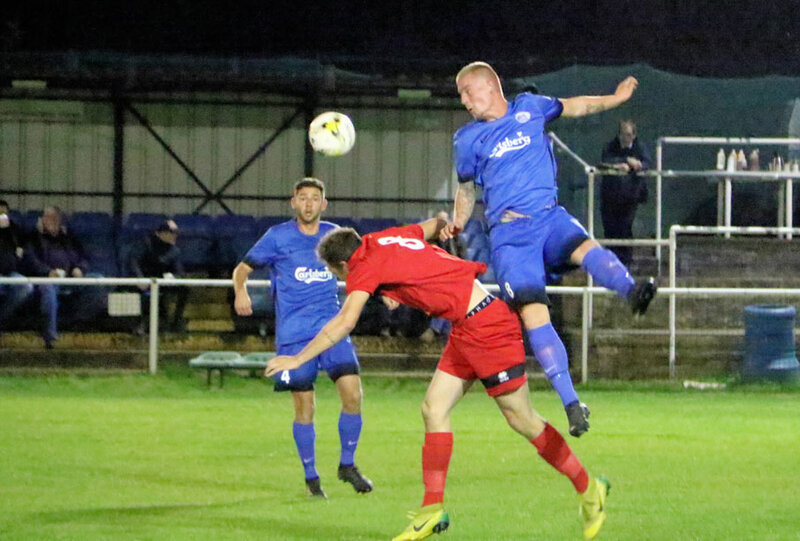 Jets manager Tim O’Sullivan kept his promise and made seven changes to the starting line-up after the dreadful performance away at Leverstock Green last Saturday. The team responded and played well against a strong Harpenden Town side. 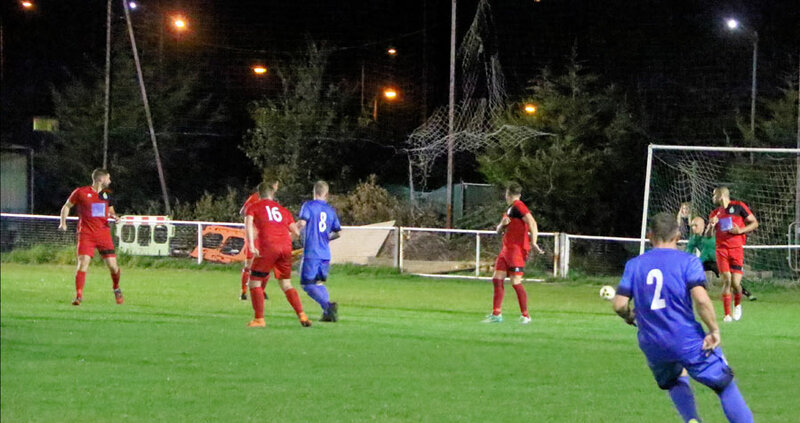 Nick Kerley opened the scoring from the penalty spot after Sean Giordmaina had been brought down. 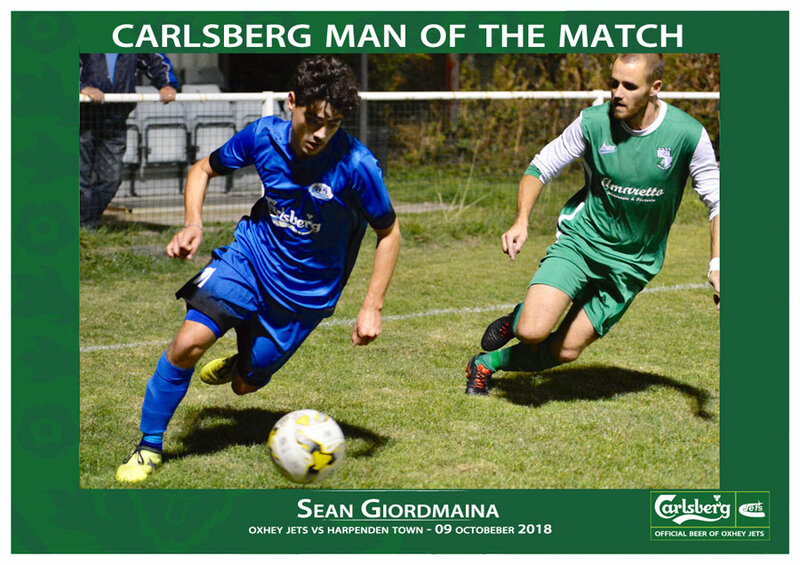 Sean Giordmaina had a man of the match performance from jets and scored himself with a superb header to make it 2-0. Jets were then reduced to ten men with thirty minutes to go when Leigh Steven picked up his second yellow card of the game. Despite the man less, Jets went further ahead when George Hobson scored direct from a free-kick just outside the area. Harry Beaumont then hit a long, long shot – he claims it was forty yards – that kept low and beat the defenders and keeper to make it 4-0. 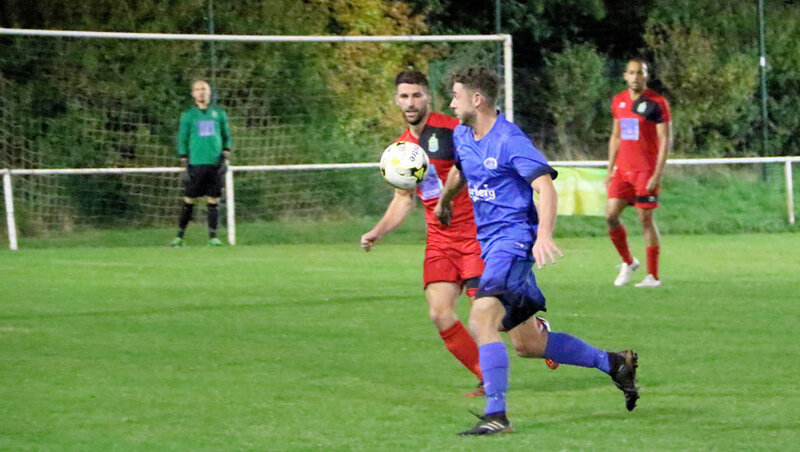 Harpenden pulled one back late from prolific scorer Archie McClelland. Flying save – and a good performance – from Drilon Adjeti on his debut. On what was an all round good night for Jets, the Reserves that stepped up to the first team played their part. As well as the impressive performance from Sean Giordmaina there were strong debuts from Drilon Adjeti in goal and Dylan Hickman-Singh in midfield.